The 'height' of this stencil is from the bottom of the number to the top of the number. You will be provided with one of every number. 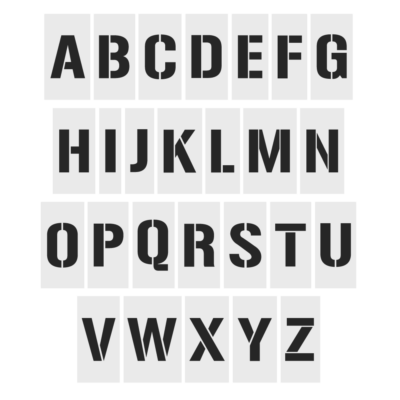 Use this Number Set stencil to mark out any numbers in any order that you may need to. Alternatively, you can find other sets and individual letters & numbers here.